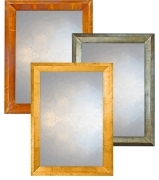 Welcome to my contemporary mirror collection with their amazing new range of gilded finishes. 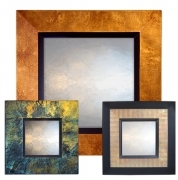 There are no other finishes quite like them as they are created by tarnishing metal leaf. This is what makes them different & so special as the tarnishing process creates finishes that are a complex mix of colours and have dynamic qualities as they change depending on the angle they are viewed from. 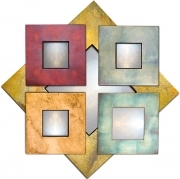 Unfortunately it's impossible to do capture these qualities with a camera so please bare this in mind when viewing the clocks that make up the different categories of my Contemporary Mirrors below. 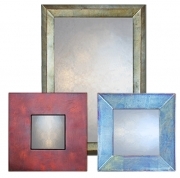 Contemporary Mirrors with a difference. 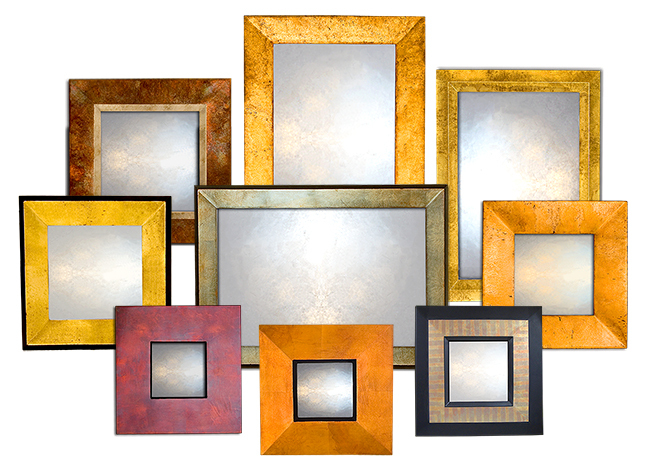 If you are looking for a contemporary mirror that's a bit different then I have a collection of clocks that will interest you in terms of their finishes and the scope to customise their shape & size to get the exact combination to meet your needs. 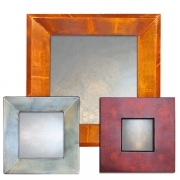 Square, rectangular or round mirrors to choose from. 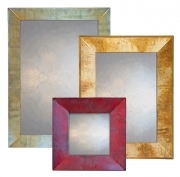 With finishes as exciting & innovative as my new Contemporary Mirror finishes I've gone for simple forms; round, square and rectangular and deliberately avoiding any embellishment so they don't detract from the finishes. 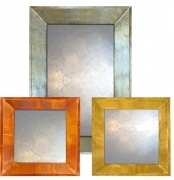 If you would like me to apply the finishes to a different shape of mirror then please get in touch & let me know what you have in mind. Size is no problem no mirror to big or small. It's essential when buying a mirror that you get the right size and proportions. You'd never ‘make do' if you were buying a suit or dress so why do so with a mirror you will have to live with for years to come. 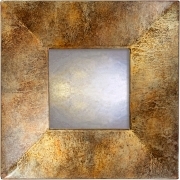 Has handmade mirrors I can accommodate any size you require so there's no need to ‘make do' with one of my mirrors! Helpful advice to ensure you get the right mirror for you. 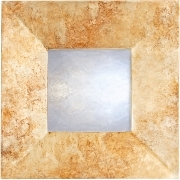 When you are dealing direct with a maker you can call on my experience and knowledge of mirrors and interior décor. 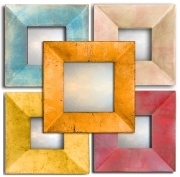 I find that this partnership creates a synergy that results in a better end result in terms of getting the mirror right and reassurance to the customer.